Simple text editor with tree-based organization. Developer website: Nevercenter Ltd. Co.
Is there a better alternative to Leafnote? 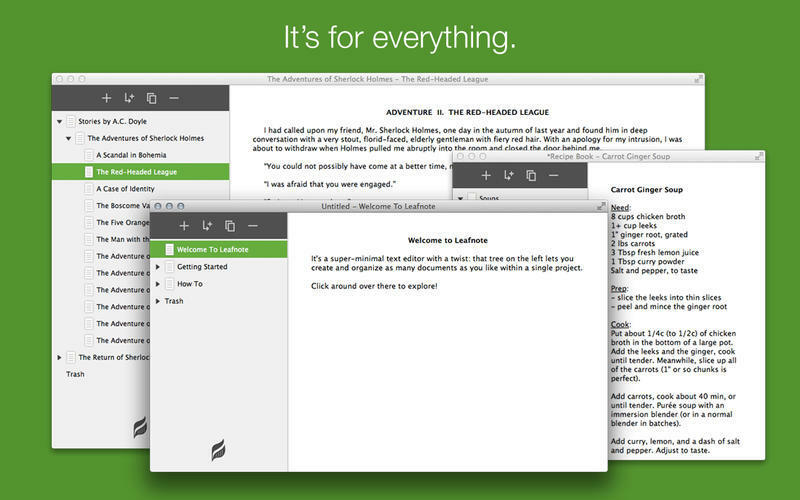 Is Leafnote really the best app in Productivity category? Will Leafnote work good on macOS 10.13.4? Simple but incredibly useful, Leafnote is a minimal text editor with a twist: the ability to keep multiple documents together as a single project, organized in an easy-to-rearrange tree. 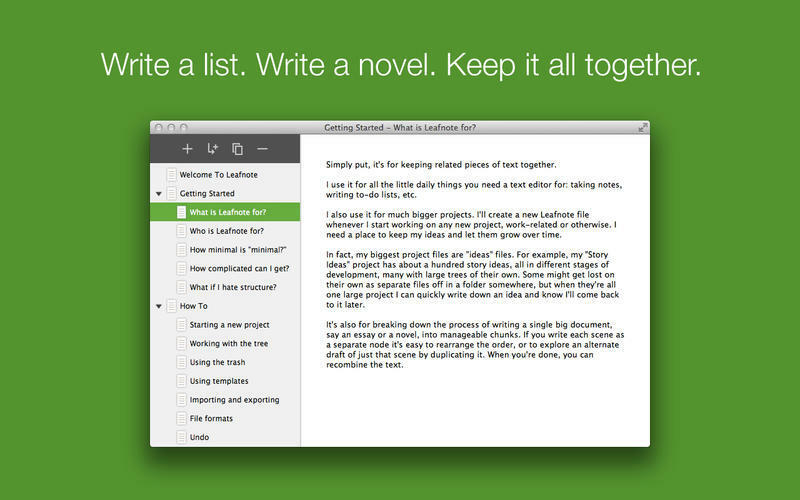 Use it for projects large and small; write a whole novel scene-by-scene, or just keep notes and scraps of ideas together in a single project so you can actually find them later. Make one project for blog posts and another for journal entries. 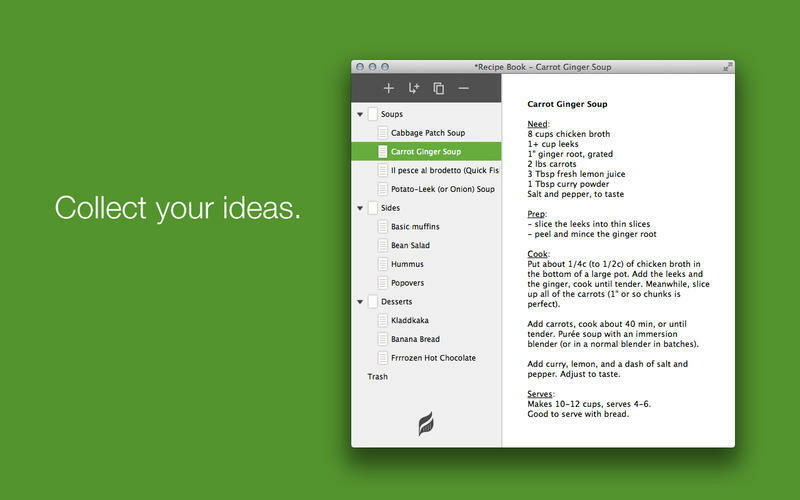 Keep lists of recipes, organize travel plans, and prepare marketing text like the pitch you're reading right now. Collect your thoughts. Draft and re-draft important, terrifying e-mails. Leafnote's for everything. If you are working on a large document like a thesis or a novel, you can break it into manageable chunks. Rearrange sections, duplicate a scene or even a group of scenes and try drafts side-by-side, keep project notes right next to your finished text, and more. Get messy. 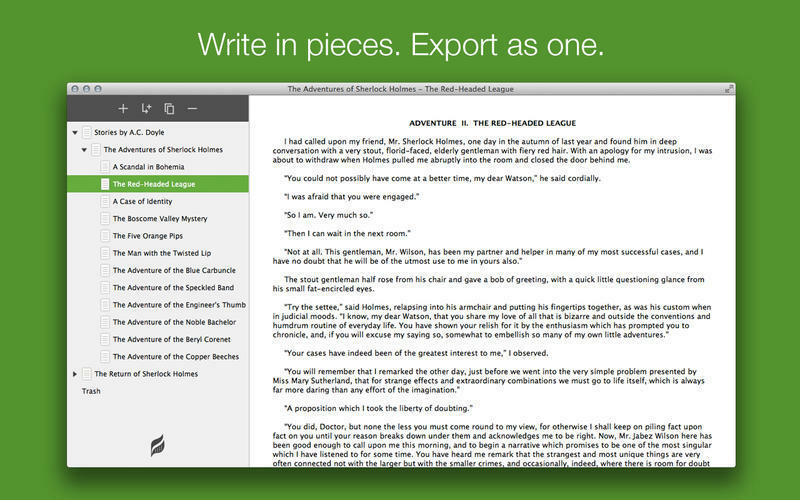 Leafnote lets you combine nodes and export them as a single finished document when you're done. It's also simply for working with text in a clean, minimal interface.